Federal documents echo earlier concerns that Canada's largest national park faces long-term threats that could place it on a list of endangered world heritage sites. An environmental assessment provided to UNESCO says oilsands activity, climate change and hydro development are fundamentally changing the environment of Wood Buffalo National Park in northern Alberta. The report's executive summary suggests things are getting worse in the Peace-Athabasca Delta. "Desired outcomes for the world heritage values are not being met," it says. Wood Buffalo covers almost 45,000 square kilometres of grasslands, wetlands and waterways -- one of the world's largest inland deltas. Billions of migratory birds from four continental flyways converge there to breed. It is the world's only breeding ground for endangered whooping cranes and home to the largest herd of free-ranging wood buffalo left anywhere. First Nations have depended on the area for generations for cultural and physical sustenance. It became a World Heritage Site in 1983. But in 2014, the Mikisew Cree filed a complaint to UNESCO that Wood Buffalo's environmental values were being degraded. UNESCO investigated in 2016 and last year warned that it might put the park on its list of endangered sites. It issued a report with 17 recommendations and gave Canada until this year to explain how it would step up conservation efforts. Both Canada and Alberta have made submissions to UNESCO meetings taking place this week in Bahrain. Although a complete assessment of the threats to the park has been provided to UNESCO, a copy was not made immediately available. Environment Canada has posted the executive summary on its website. It warns of declining water quantity and quality. "Flow rates in the Peace River have become less variable due to flow regulation on the river and (past) climate change, resulting in decreased summer flows and increased winter flows," it says. "Seasonal flows in the Athabasca River have declined over the past 50 years due to a combination of increased water withdrawals and (past) climate change." Indigenous people no longer drink from the rivers or lakes, the report says. Deformed fish show up in nets. High levels of mercury have been found in fish and bird eggs. The report says hydroelectric development, oilsands, pulp and paper facilities, industrial mines, forestry and municipal development are all likely to affect the park in future. Alberta's energy regulator has just approved Prosper Petroleum's Rigel in-situ oilsands mine upstream. A project by Teck Resources is also being considered. Some aspects of the park are healthy, says the environmental assessment. Salt plains and boreal grasslands are stable, while the whooping crane population continues to increase. Alberta has made proposals to area First Nations on park management. 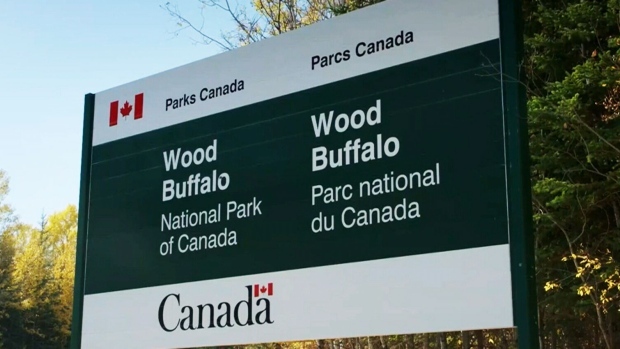 In a draft document obtained by The Canadian Press, the province offers them a co-management role in newly created provincial parks that ring Wood Buffalo. It also promises an increased role for traditional knowledge. 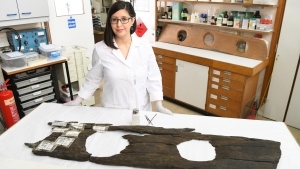 "Alberta is actively exploring the inclusion of traditional knowledge into land-use planning, environmental monitoring and assessments, wildlife conservation, protected areas, and decision-making ... in collaboration with Indigenous Peoples," it says. UNESCO will consider the submissions this week during the meetings in Bahrain. Representatives from at least two Alberta First Nations are there.